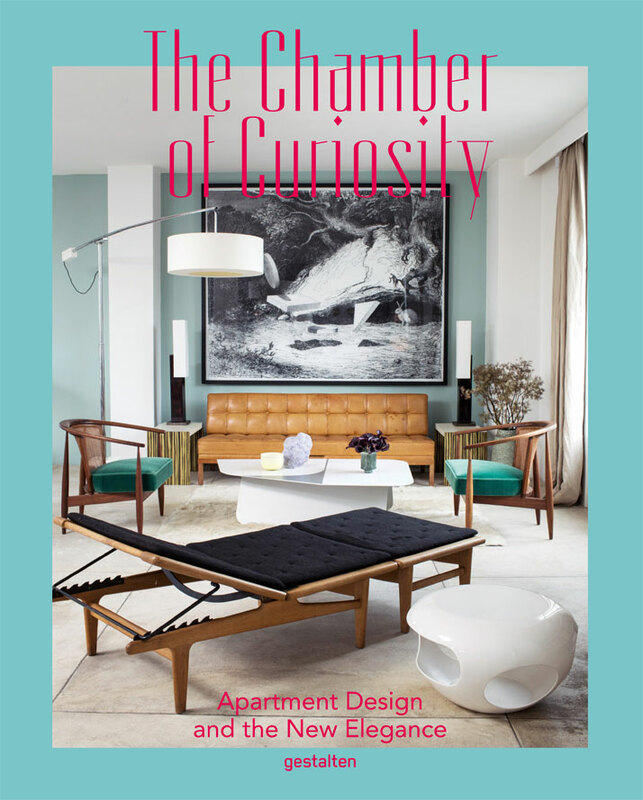 The Chamber of Curiosity by Gestalten is more than a collection of some of the best interiors from around the world. With its added strong focus on the occupants as well as their very essence, the publication also manages to unlock the individual character of the incredible interiors showcased. Featuring the homes of designers and architects from Paris to Pittsburgh and Milan to Melbourne, the reader has the opportunity to view interiors that are personal, not to mention strikingly diverse where we witness tributes to Kubrick and Lynch through to the most unlikely combinations of colour, texture and styles. 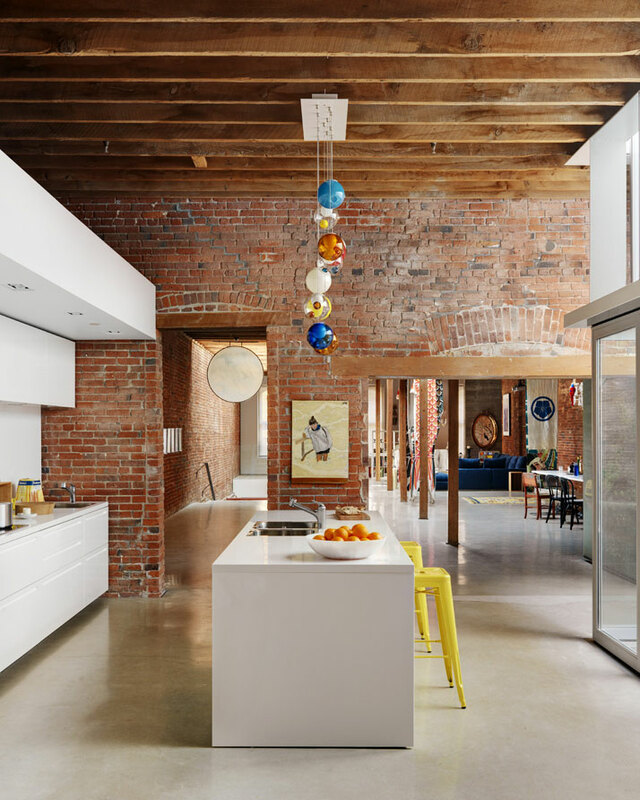 The result is a book of pioneering interior design that focuses on telling the story behind the interiors themselves rather than merely illustrating the latest industry trends. Milano Solferino, Design by Dimorestudio, Photography: Beppe Brancato, from The Chamber of Curiosity, Copyright Gestalten 2014. 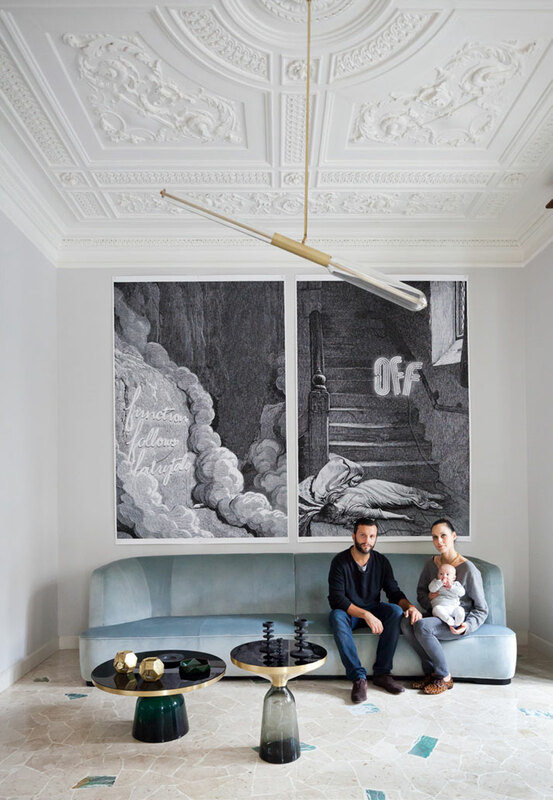 House of Adriano and Silvia in Milan, Design by Pietro Russo, Photography: Filippo Bambhergi, from The Chamber of Curiosity, Copyright Gestalten 2014. 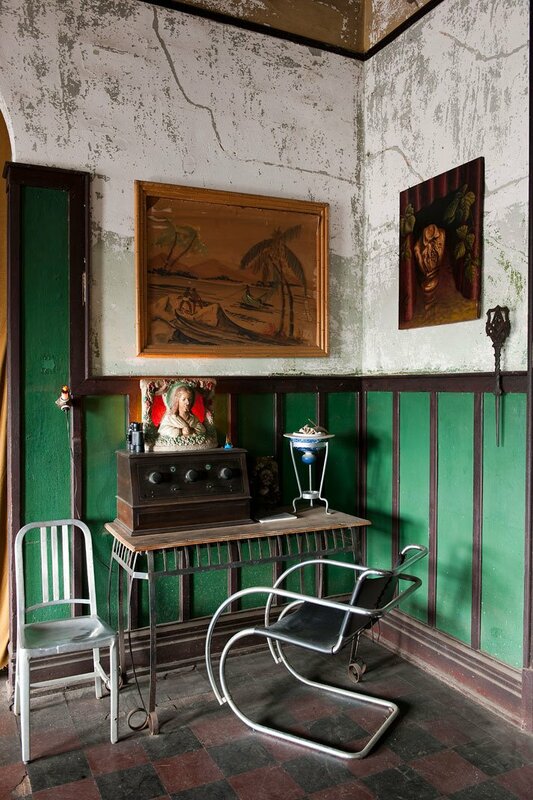 Harmony Club, photo © Robert Rausch of GAS Design Center, Image Courtesy of The New York Times. 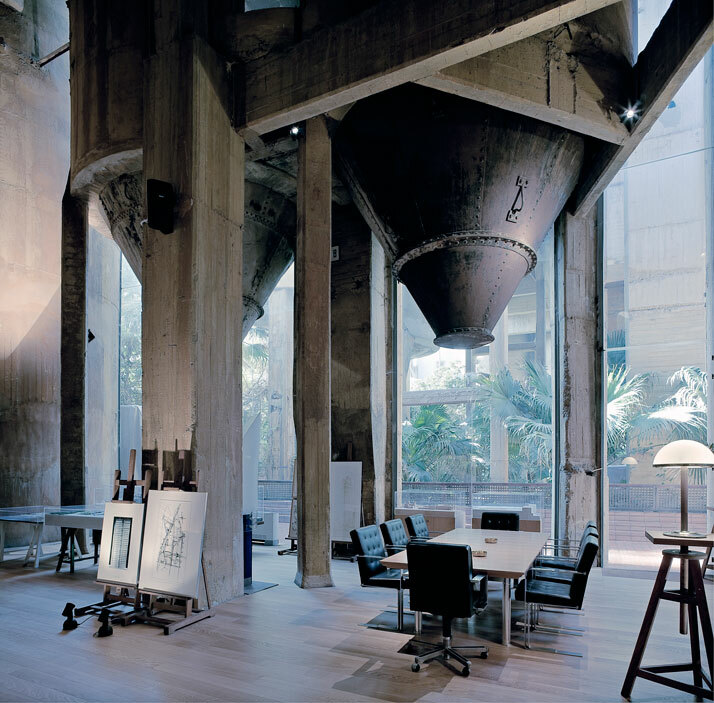 La Fabrica: Ricardo Bofill Residence, Design by Marta Vilallonga, Ricardo Bofill Taller de Arquitectura, Photography: Richard Powers, from The Chamber of Curiosity, Copyright Gestalten 2014. 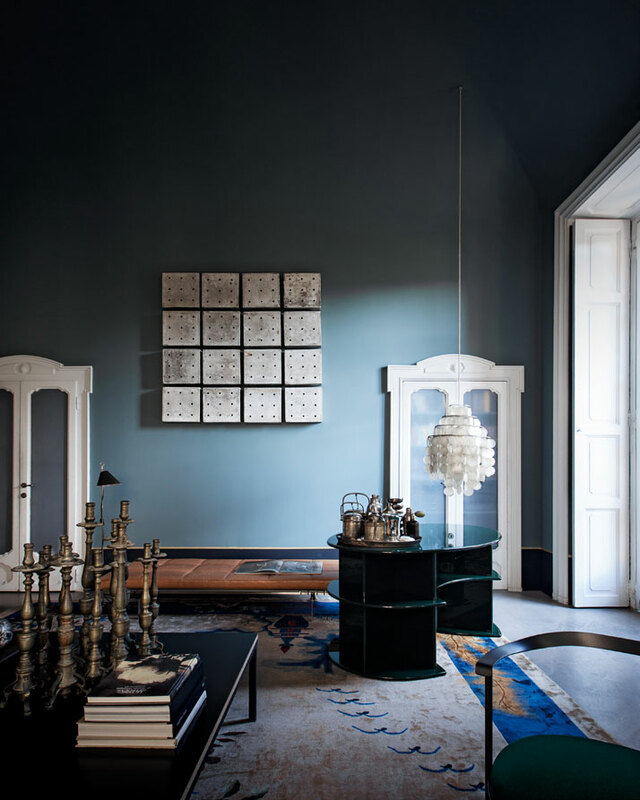 Home of Artur Miranda and Jacques Bec, Design by Oitoemponto, Photography: Ana Carvalho Photo, from The Chamber of Curiosity, Copyright Gestalten 2014. 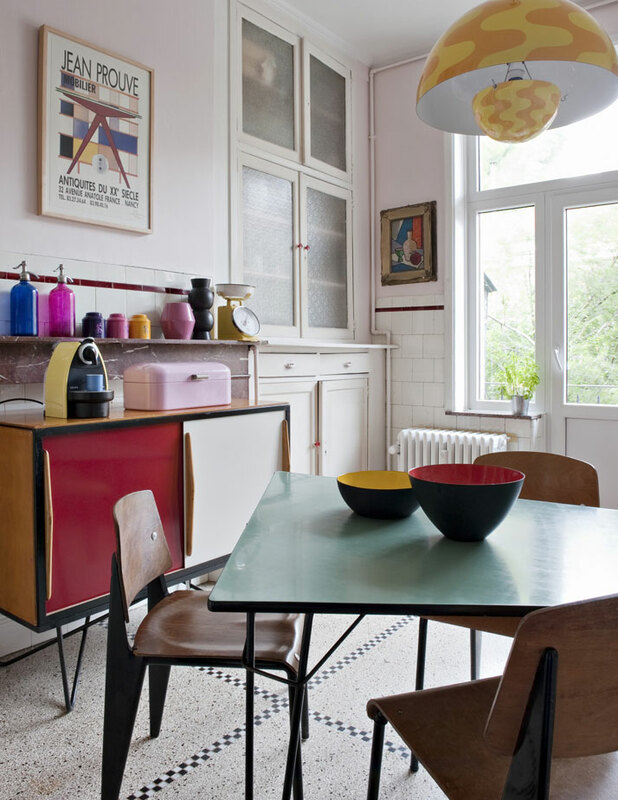 Brussels Vintage Home, Photography: Nicolas Mathéus, from The Chamber of Curiosity, Copyright Gestalten 2014. Book cover, The Chamber of Curiosity, Copyright Gestalten 2014. As its title suggests, each home is indeed a ''Chamber of Curiosity''. Further reflecting the unconventional life patterns of its inhabitants, the reader is taken deeper, almost partakes on a tour of these exciting interiors where portraits of some of the most significant designers, from Fritz Hansen to Autoban through to Dimorestudio further relay the inhabitants’ deep appreciation of design. 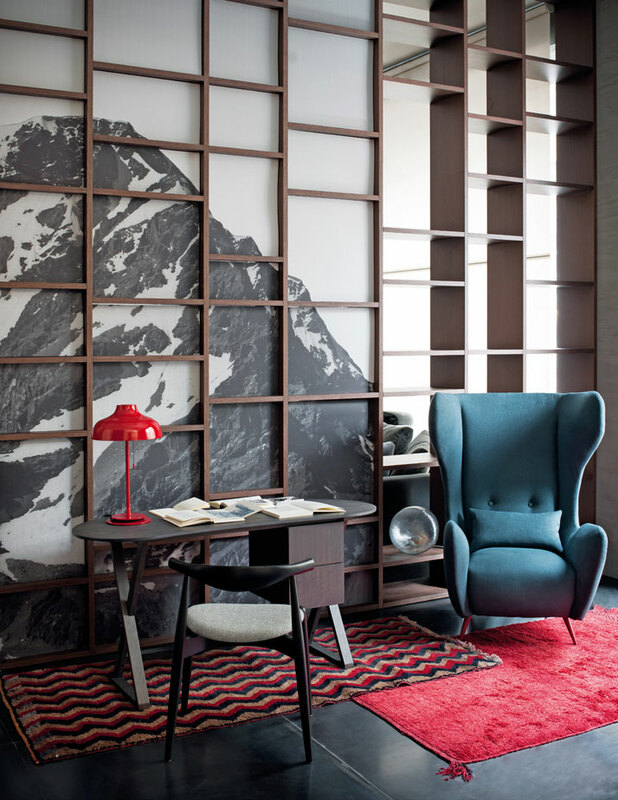 50sqm in Città Studi, Design by Pietro Russo, Photography: Filippo Bambhergi, from The Chamber of Curiosity, Copyright Gestalten 2014. The book makes the point that the collage style seen throughout its pages, made up of bits and pieces collected over time, is the ‘new elegance’, where to name a few examples, we see neon signs hang above canary yellow armchairs, whilst Perriand pieces flirt with Panton’s. In an apartment in Belgium, Danish 1950s rugs sit alongside 1940s Moroccan Kilins whilst geometric patterns provide the backdrop for a glass topped console in an apartment in St. Germain. Defying any type casting into a particular movement, the featured apartments in this design anthology are engaging and truly inspiring, transcending time and style. Evident right from the very start, the strong element of design flair and harmony that runs throughout the chosen properties goes towards showing us that the innate lack of rules seen within creates a strong sense of enigma, thus making it more difficult, for us the reader, to deconstruct the designs, just like an individual personality. 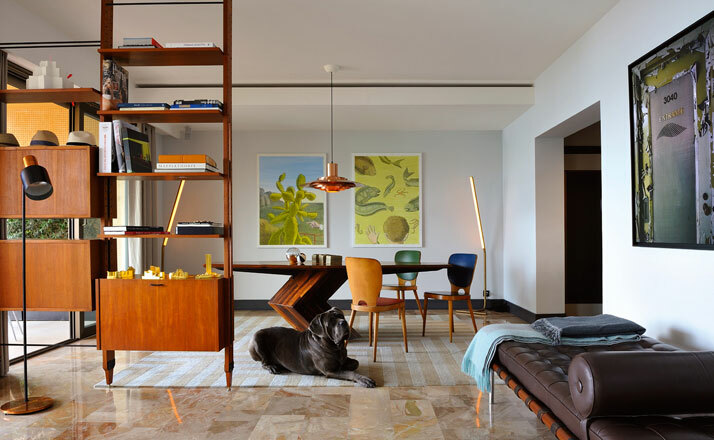 1950s-60s Apartment in Monaco, Design by Humbert & Poyet, Photography: Véronique Mati, from The Chamber of Curiosity, Copyright Gestalten 2014. 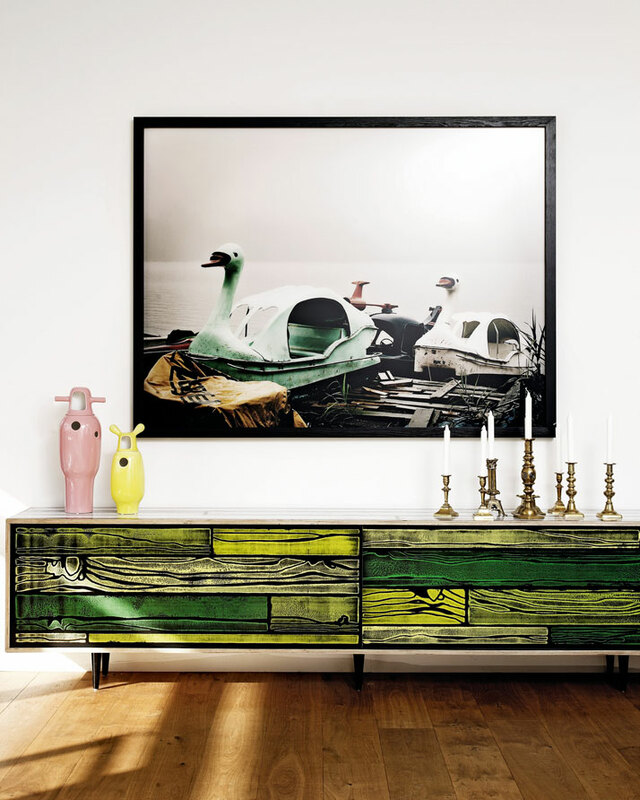 Home of Jean-Christophe Aumas, Design by Jean-Christophe Aumas, Photography: Helenio Barbetta, Didier Delmas, from The Chamber of Curiosity, Copyright Gestalten 2014. Studiopepe for Spotti, Design by Studiopepe, Photography: Andrea Ferrari, from The Chamber of Curiosity, Copyright Gestalten 2014. The Tree Top Chalet, Design by Søren Rose Studio, Photography: John Bendtsen, from The Chamber of Curiosity, Copyright Gestalten 2014. 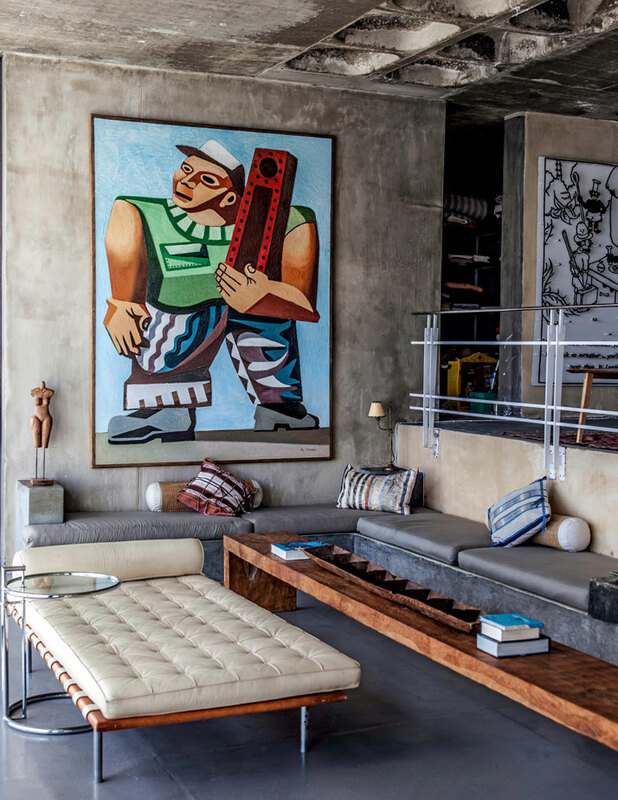 Cape of Good Hope House, Design by Jean-Marc Lederman, Photography by Jean-Marc Lederman, from The Chamber of Curiosity, Copyright Gestalten 2014. Vancouver House & Studio, Design by Omer Abel Office, Photography: Martin Tessler, from The Chamber of Curiosity, Copyright Gestalten 2014. 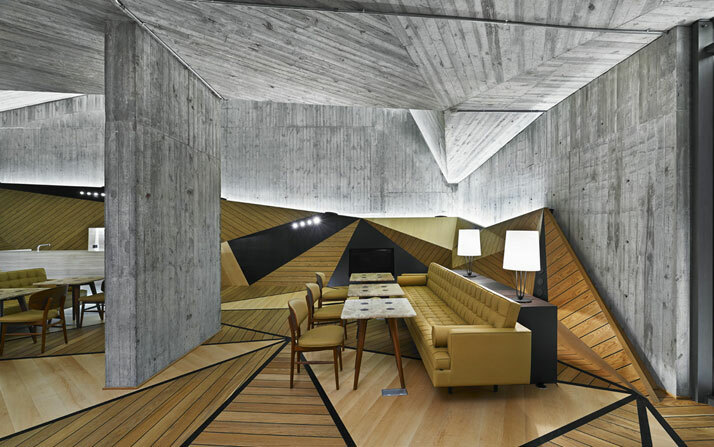 Café at Savoy Ulus Club House, Design by Autoban, Photography: Ali Bekman, from The Chamber of Curiosity, Copyright Gestalten 2014. 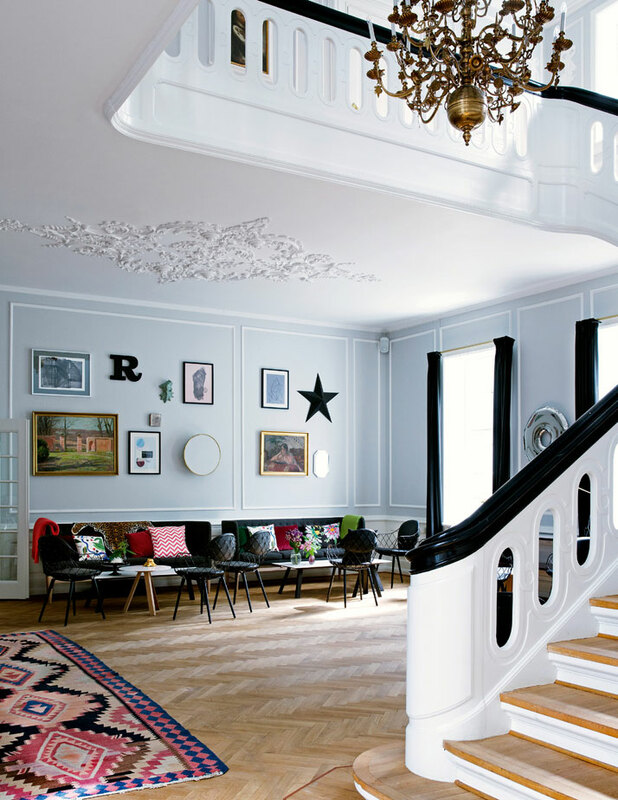 Rungstedgaard Hotel, Design by Frederikke Aagaard, Photography: Line Klein, from The Chamber of Curiosity, Copyright Gestalten 2014. 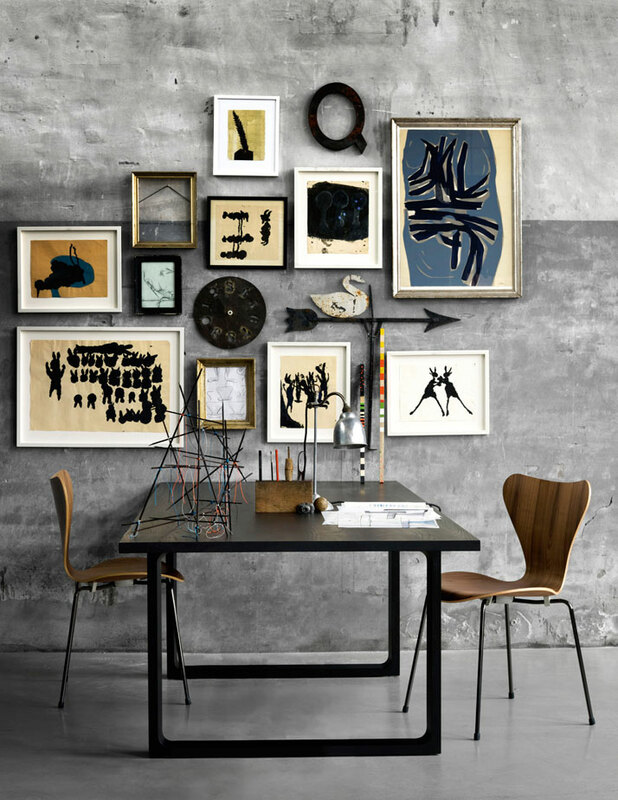 Fritz Hansen, Photography: Ditte Isager, Andrea Ferrari, from The Chamber of Curiosity, Copyright Gestalten 2014. As designer David Hurlbut comments about his Harmony Club, in Selma, in the US: ''A home should first entertain its owner and then the owner’s guests…'', something that Oitoemponto design partners Artur Miranda and Jacques Bec clearly exemplify in the design of their home in Porto where dark walls recall a theatre while brightly coloured objects, reminding of the Pop Art movement, provide ‘brief thrills of colour’. Petal pink, mint, purple, scarlet and gold sit side by side, as do textures like steel, stone and carpets. However, instead of being a mishmash of influences and randomly collected objects, the interiors somehow work. And it’s the same when it comes to furniture. 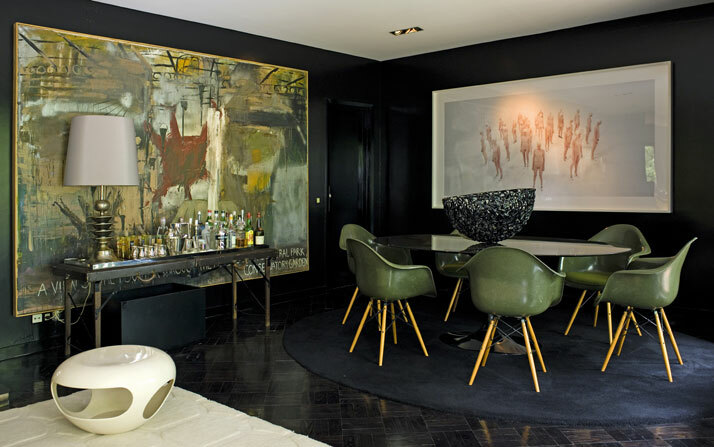 In the dining room a black Eero Saarinen Tulip Table is surrounded by deep olive green Eames fibreglass arm-shell chairs on dowel bases. These are interiors that simply can’t be replicated due to their very personal soul, and this volume attempts to decipher the language that the objects and décor form where ‘modern classics meet personal acquisitions and unconventional items have their own story’. Far from being uniform, the past and future are able to dialogue constantly and on numerous levels (some more explicitly than others). Some are indeed fantasy worlds contained within walls that respire life, diversity and history. 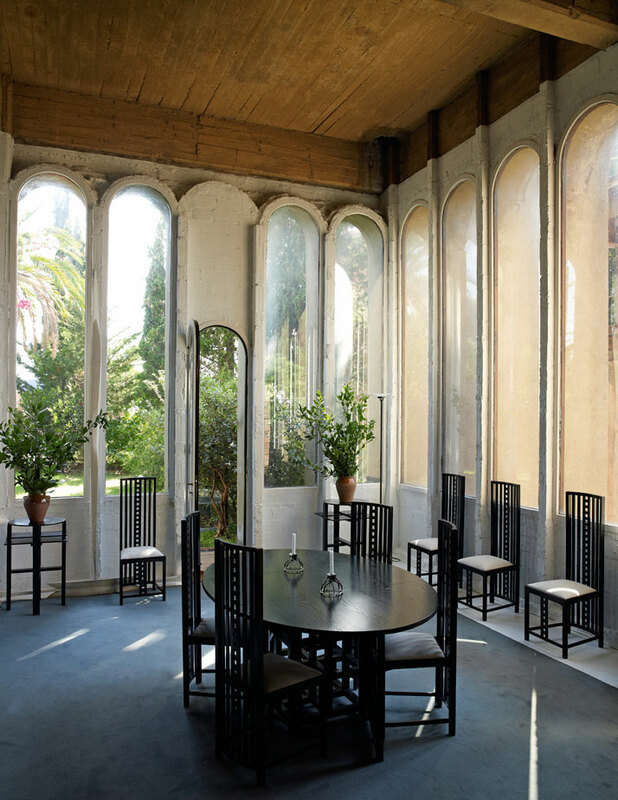 Ricardo Bofill’s residence La Fabrica is one such case in point where we read of how he ‘has alternated between utopian social projects and neoclassical, rational monuments that privilege grandeur and symbolism over the human scale’ in his residence housed in a converted cement factory.